Amazing vector illustration. Set of Christmas and New Year objects for any holiday design. 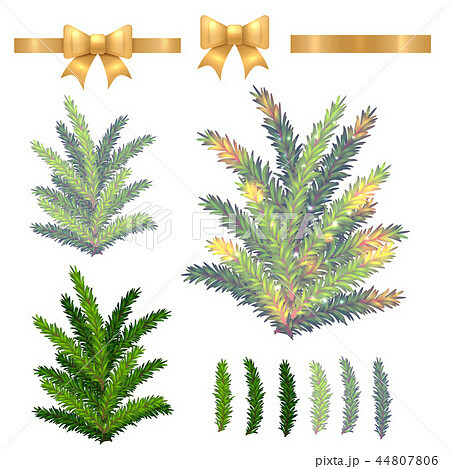 Beautiful collection of green and shining blue fir tree branches and silk golden ribbons isolated on white.